For the last couple of month’s I have been using the Headspace mindfulness or meditation app. I’ve always thought that our mind and how we think has much more impact on our wellbeing than many of us realise. I suspect that is why I have been interested in autogenics and coaching. I’ve really enjoyed using the App, which presents a number of guided mediations that start off at 10 minutes and gradually increase in duration. I find it great when I get in from work to calm my mind from the busy-ness of the day and help me relax more. I’ve also noticed that I’m worrying less about things and feel more relaxed, despite things being incredibly busy at work. These benefits have been much appreciated by my partner too. 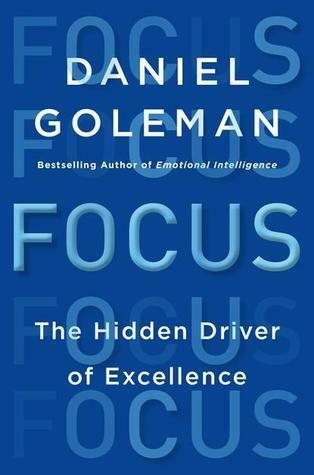 book; Focus; today to find that it is extolling the virtues of mindfulness as a way to achieve focus and through that excellence. It was great to read about the neuroscience that is proving that these techniques that might previously been seen as alternative are having a scientifically observable impact on us which can yield more tangible benefits than just helping us to feel better. I’m also glad that my employer is open minded enough to be including mindfulness in our Week of Wellbeing for my colleagues next month and I shall certainly be sharing both my own experience and the further insights that this book provides too. I’d be really interested in others experience of both mindfulness and meditation, and to understand whether there is a difference between the two or not. This entry was posted in Reflections and tagged Daniel Goleman book, meditation, Mental health, mindfulness. Bookmark the permalink. I’ve been doing this for a while and was lucky enough to meet Andy Puddlecumbe when he came to the office to give a session. I use a different app/source now but find it does help. “Zen and the Art of Running” helps too.